A launch controller is only as good as it is safe and convenient. When armed, the Interlock controller emits a warning tone to alert spectators to a possible launch and after firing the Key Eject system automatically disarms the firing circuit for the utmost in personal protection. Aerotech's Interlock controller is conveniently designed to hook up directly to any 12 volt battery or your car's battery and to assist in placing you at a safe launch distance, incorporates 40 feet of heavy-duty power cord. 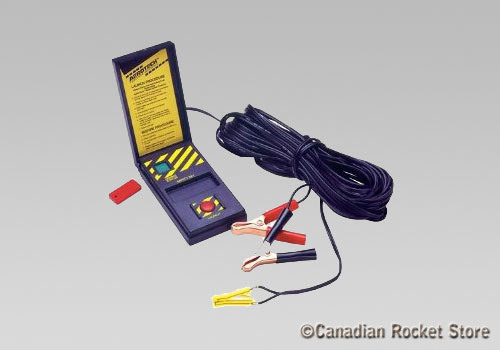 This controller includes micro clips and interlock clip, which allows to connect your controller to both wire and copperhead igniters. Simply enter your details below and we will send you an e-mail when “Interlock Launch Controller” is back in stock!